Minister of Social Security Romain Schneider and Minister of Labour, Employment, and the Social and Solidarity Economy Dan Kersch met with the Portuguese Secretary of State for Portuguese Communities José Luis Carneiro to discuss the issue of pensions. 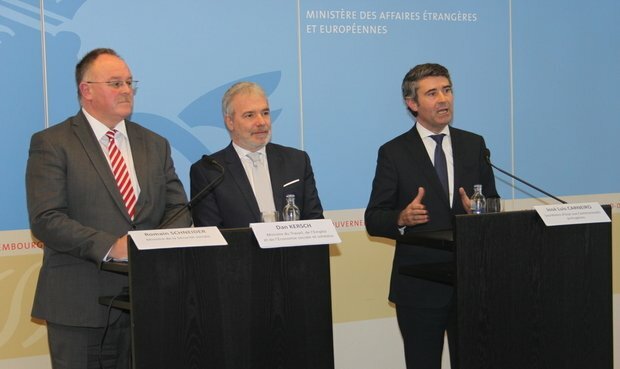 In recent years, Portuguese citizens residing in Luxembourg have been subject to month-long delays in requesting their early pensions in Portugal. The ministers met with the secretary of state to discuss the cooperation between the Luxembourgish and Portuguese pensions offices. The cause of the delays has been a massive lack of personnel in Portuguese administrative offices. However, Carneiro provided assurances that the number of employees in the pensions office has risen from 60 to 130 in order to work on the backlog. Several times a year, the authorities organise work days in which employees from the Portuguese pensions office come to Luxembourg to find solutions to help those effected as quickly as possible. The ministers also discussed training in the construction sector, which would be offered in French, albeit with Portuguese learning material. As a result, there would no longer be an impediment to the continuous training of employees in the sector who are not fluent in any of Luxembourg's three official languages. This is crucial for construction security, as it is necessary for every single employee to be trained appropriately. These types of training with Portuguese learning material will also soon be offered in the commerce, hospitality, and cleaning sectors.